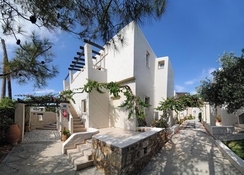 Ourania Apartments Hotel is a unique hotel in Greece, providing comfortable apartments to guests. This hotel is suitable for couples, families and groups; the apartments have a maximum capacity of accommodating up to five people. 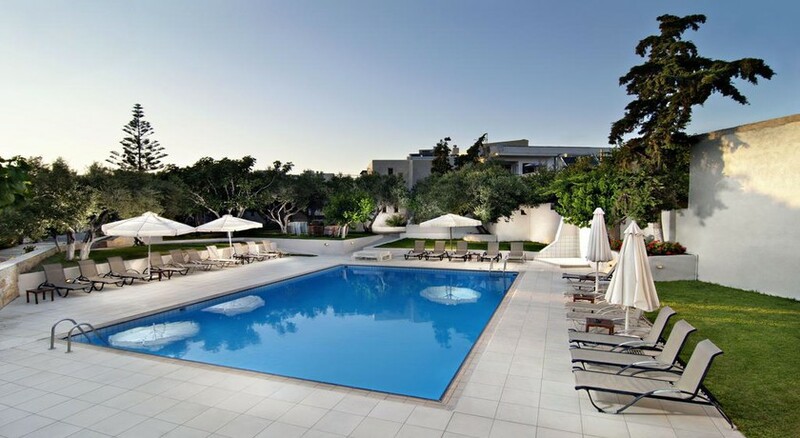 There is a marvellous swimming pool in the hotel, where guests can have a relaxing swim. The hotel also provides motor bikes and cars on rent, so that guests can explore the region at their own pace. Other facilities in the hotel include laundry service, baby cot, luggage transfer, money exchange and much more. 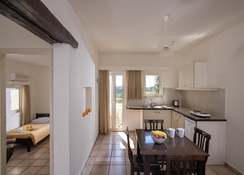 Ourania Apartments Hotel is ideally nestled in Epidavrou, Kato Gouves 700 14, Greece. There are plenty of bars, restaurants, shopping malls and sports clubs within close proximity to the hotel. Heraklion International Airport is 15.3km from the hotel. The hotel features 57 apartments, divided into three studio apartments, 27 one-bedroom apartments, 12 superior one-bedroom apartments, six superior studio apartments and nine two-bedroom apartments. Some of the common facilities in the apartments include balcony or terrace, bath or shower, Free Wi-Fi, telephone, fridge, kitchenette, kettle, toaster, full set cutlery, cooking utensils, LED TV, baby cot (upon request), hairdryer, air-conditioner with individual control, safe box, room towels and breakfast room service. The hotel provides early breakfast service and lunchbox breakfast service. Those who want to grab a snack and have refreshing drinks can take advantage of the snack bar. The in-house bar is open from 9am to 2am, giving enough time for the guests to enjoy their favourite drink. If you want to explore more step into one of the restaurants near the hotel that specialise in various cuisines from around the world. 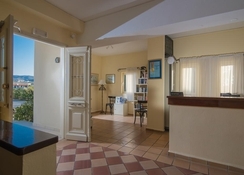 Ourania Apartments Hotel is a complete holiday home. In addition to all the other facilities inside the rooms, the hotel also comprises a swimming pool, where the guests can enjoy a swim. If you want to explore the region, take advantage of the excursions provided by the hotel (extra charges). The hotel also organises live music for entertaining the guests. Plan to go back again next year.